40 km north of Kolari, lake Äkäslompolo 2,1 km, swimming beach 2,7 km.Log cottage, built 2007. Livingroom/kitchen with wooden sofa, three bedrooms, two with a double bed and one with two separate beds, electric sauna, shower/toilet, separate toilet. Ski maintenance room, car shelter and storage room. Well-equiped and homely log cottage located in the Äkäslompolo village Maahinen area (address: Maahisentie 14). 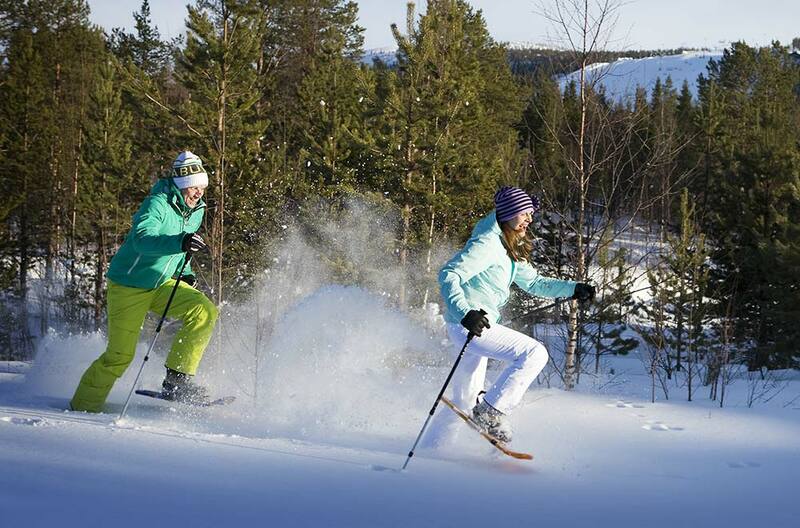 Apartment is situated in a new cottage area between the slopes and Äkäslompolo village. Light skiing track near. In addition: nursery equipment (baby cot, potty, feeding chair), DVD-player, CD-player. No pets allowed. Weekly prices include final cleaning and bed linen. For reservations under a week prices include final cleaning, bed linen are available for rent.